I know you already have a massive list of great keywords, and it′s good enough to start with. Still, there′s yet another thing to take care of now. I mean, there must be a way to see how well your site is doing. How are you going to check your progress? Some will ask, why check it at all? But how can you know for sure that you′re doing the right thing, if you don′t have good evidence? Any check is an impulse to the subconscious that forces you to do better. A real–life example comes from sports: after sportsmen start evaluating their results regularly, their achievements jump 20% up — and this is just because of measuring success, all else is done the same way! Here′s a way to do it manually: type in a keyword in the Search Engine where you wish to check the ranking, then find your site in its result pages and check what place it′s on. In our case, the website is on the 21–st position. What′s good about them? They′re simply free and good enough! First of all, they only check positions in Google.com, Yahoo! and Bing. So if you need, say, to check rankings in Google.de, or Ask.com — then do all the job manually, or use the Rank Tracker tool I describe further. And another thing. Well, they just won′t remember you. If you come after a month to make another check, you′ll have nothing to compare with. You can only keep your previous results yourself, if you invent a way to do so. Also, most of these free resources require Yahoo! and Google API keys. This makes the work inconvenient, because API keys put certain limitations on the number of queries you can perform. Search Engines do not want multiple or automated queries (and SEO work is impossible without them), so they require API keys — it′s like an allowance to query Search Engines. Still there′s a non–free Rank Tracker tool, which not only checks your rankings instantly, but also shows your progress and doesn′t necessarily need a Google API key — so it′s great to evaluate your work. For checking some local website positions you can also use google chrome, just change the latitude and longitude in the browser settings and voila! Yes. I agree with you and it makes me a headache. Check keyword rankings are phases that would have to do SEOer in natural SEO campaign work minh.Tat checking this keyword entirely possible manipulation.! This is a great article. It gave me a lot of useful information. I use it everyday to to check my ranking and keep me focused on what I need to do. 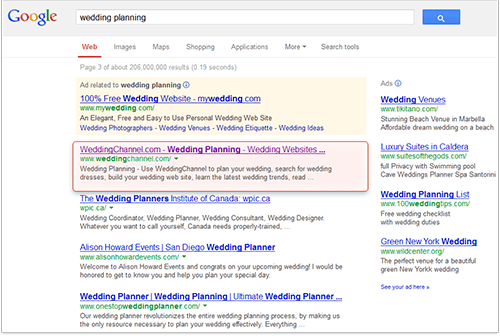 Is these free tools are providing absolute precision about the position of the site in the SERP? I have a pressing question because still I am confused as it relates to this SEO thing. Firstly, I went to a website recently and they said the keywords in Google that rank high are most competitive and are recommended to be selected. Then I watched a tutorial today and it said the complete opposite, explaining that it is actually harder to rank with the competitive words. I am a newbie here- so huh? Let me please first explain that a keyword can not rank high - this is wrong terminology. A keyword can either have many competitors or few competitors. If a keyword has a lot of competitors it means that there are a lot of websites in the Internet which are trying to rank for the same term, so it will be pretty difficult to outrank them all and reach top positions. If a keyword has few competitors this will mean that you can reach top rankings much faster. Yet such keywords may not be productive because if nobody wants to optimize their websites for such keywords then most probably no one is using those keywords to search in Google, so basically such keywords will not bring you any profit. That is why here is when the KEI factor comes into play because it shows the correlation between how many competitors a keyword may have and how many people are actually using this keyword to search. Got it- thanks for the clarification.